Jake Porway, DataKind Founder and Executive Director. Jake Porway is a machine learning and technology enthusiast who loves nothing more than seeing good values in data. He is the founder and executive director of DataKind, an organization that brings together leading data scientists with high impact social organizations to better collect, analyze, and visualize data in the service of humanity. 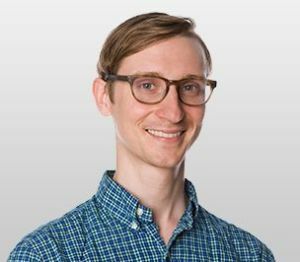 Jake was most recently the data scientist in the New York Times R&D lab and remains an active member of the data science community, bringing his technical experience from his past work with groups like NASA, DARPA, Google, and Bell Labs to bear on the social sector. Jake’s work has been featured in leading academic journals and conferences (PAMI, ICCV), the Guardian, and the Stanford Social Innovation Review. He has been honored as a 2011 PopTech Social Innovation Fellow and a 2012 National Geographic Emerging Explorer. He holds a B.S. in Computer Science from Columbia University and an M.S. and Ph.D. in Statistics from UCLA. Previous story Will Data Lakes turn into Data Swamps or Data Reservoirs?